Interior Aluminium Wall Cladding – WC4 Panels with GA Posi-Grip Framing with pressure engagement system. Our modern 5 Star Processing Service accurately and rapidly fabricates Aluminium Wall Cladding to meet your precise specification. Gooding Aluminium provide made to measure panels, once you provide us with the checklist information we’ll deliver it to site ready for fixing. The full range of GA’s sheet patterns are available to meet design needs. 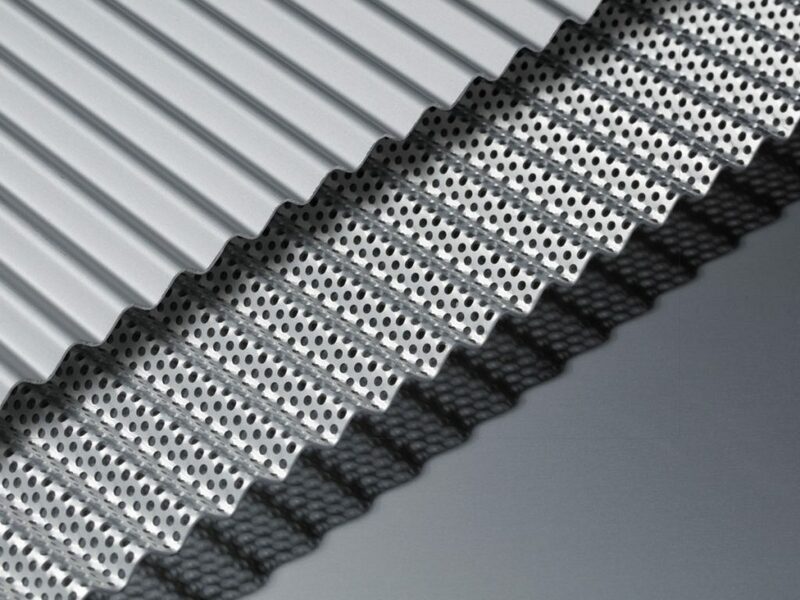 All panels can be supplied in either perforated, plain or a patterned design. Getting quotes for Aluminium Wall Cladding is so easy! Select the required component package, enter the specification details into the email template and we’ll do the rest! Our Sales Team will be pleased to receive your enquiries either by email sales@goodingalum.com or by calling 020 692 2255. Our modern 5 Star Processing Service accurately and rapidly fabricates Aluminium Wall Cladding for interior applications. For your interior wall cladding panels choose from our diverse range of aluminium sheets that can be supplied in anodised, mill, satin brush or powder coated finishes. We have a wonderfully varied range of high quality aluminium sheet products available for your selection. WC3 – Single Folded Trays with GA Panel-Fix installation video. The full range of GA’s sheet patterns are available to meet your design needs. Panels can be supplied in anodised, mill, satin brush or powder coated finishes. Getting quotes for Interior Wall Cladding is so easy!